The Pember Museum will be unveiling a new temporary exhibit titled "Family Ties" featuring objects, photos and community stories tied to the Civil War. 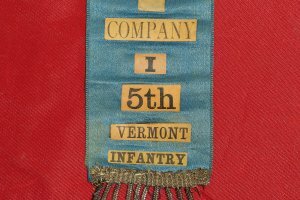 These are family-owned memorabilia from New York and Vermont residents whose ancestor served in a local regiment during the war. The Pember will also be having a presentation on June 16 from 1-2 pm: "The Winds of Change: The Evolution of Warfare Experienced by the 123rd New York Volunteer Infantry" Was the American Civil War the last Napoleonic War or a modern war? What transformations took place between 1882-1865 that changed warfare as experienced by the Washington County Boys during their service in the federal army? A detailed analysis will explore those changes that were wrought by the American Civil War as viewed through the eyes of our citizen soldiers. This informative presentation is a new perspective not previously presented by the speaker. The presenter is Michael Russert, a Civil War historian, a member of the Company of Military Historians, has a Masters Degree plus thirty hours in Nineteenth Century American Studies. He has published over two hundred book reviews and is presently completing a book examining the role played by the 123rd New York in the Gettysburg Campaign. A teacher for thirty-five years, he served as the Coordinator of The New York State Veteran Oral History Program.